Stamp of Jean Baptiste III Lelarge, Maître 1st of february 1775. 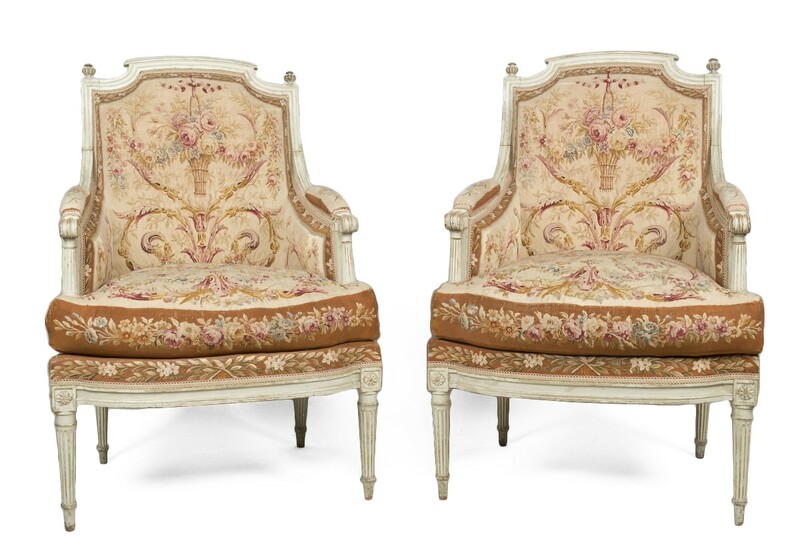 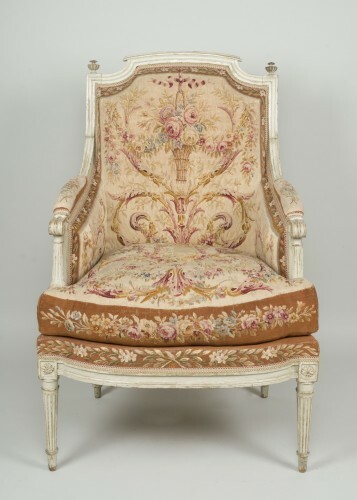 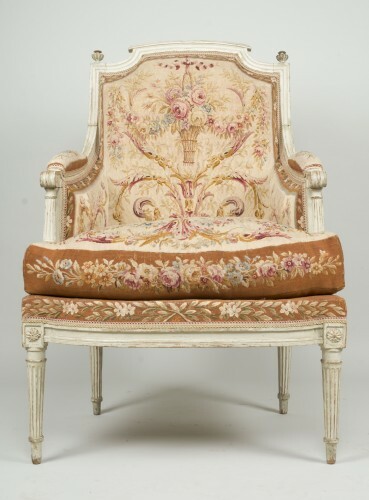 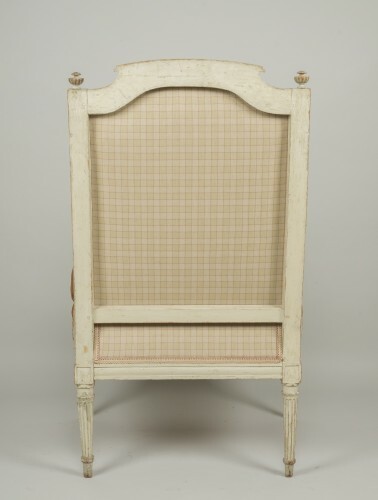 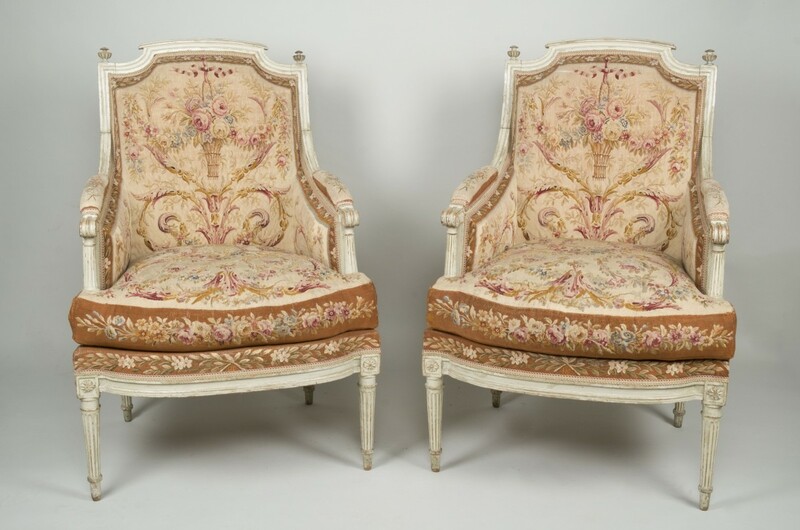 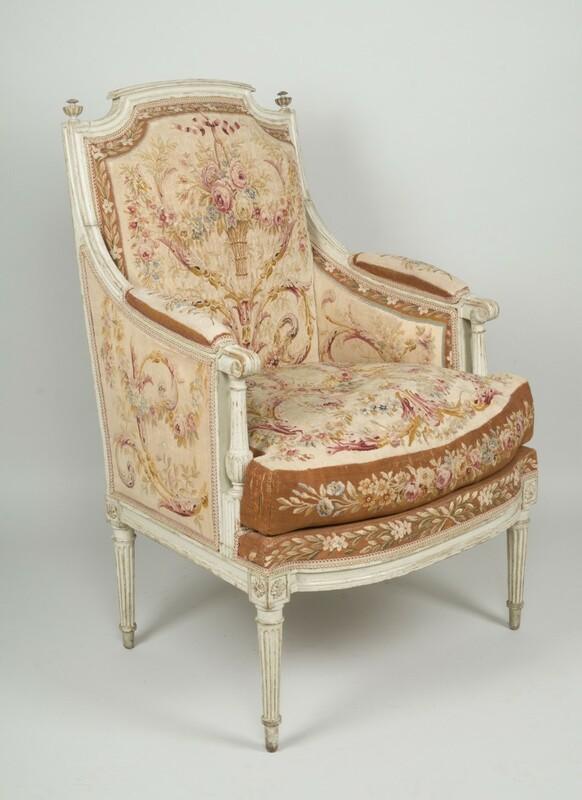 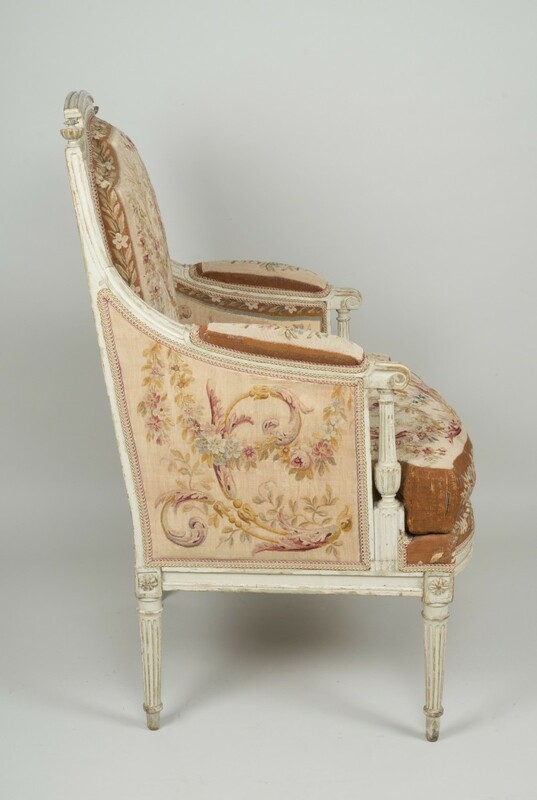 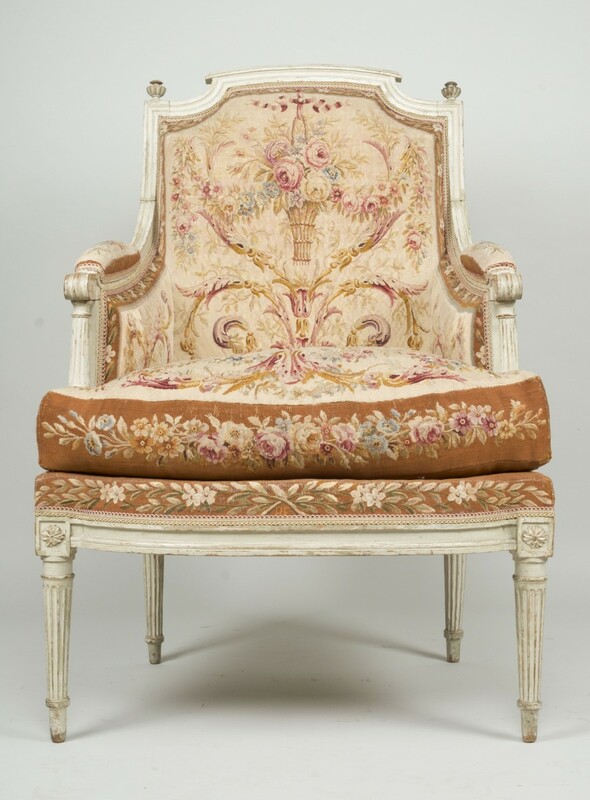 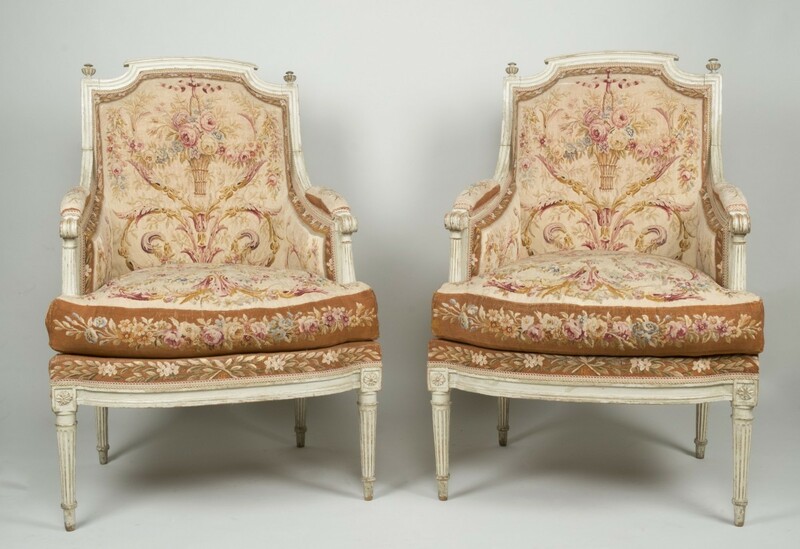 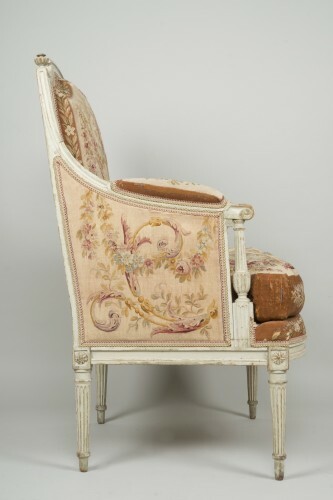 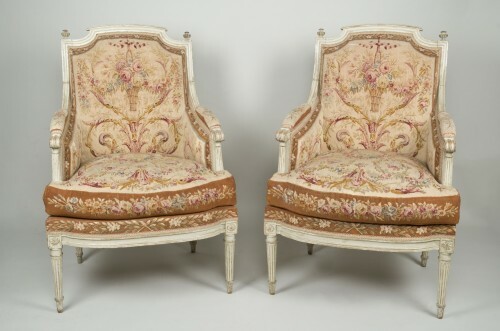 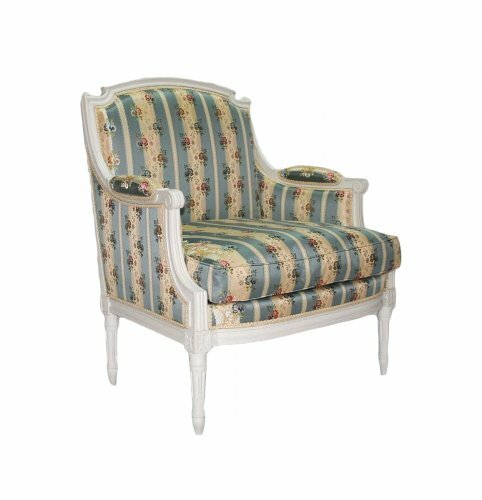 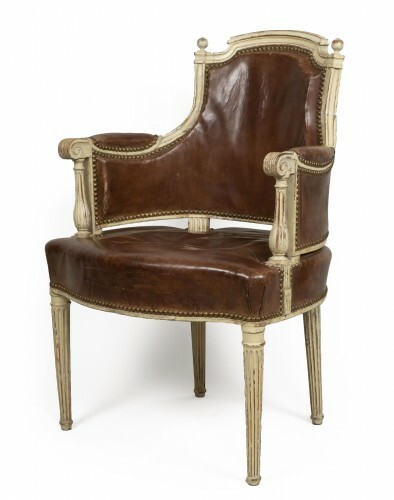 These pair of wingchairs has an original Aubusson tapestry which has conserved a real freshness and its finesse. 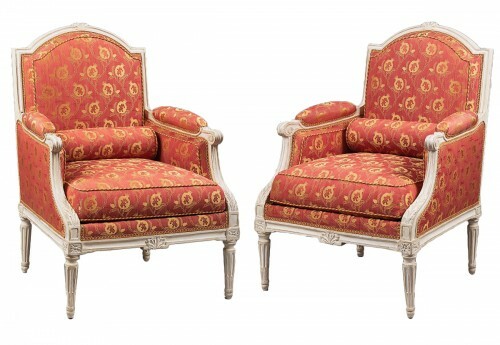 These winchairs has kept its original lacquer.